A week or so ago, papers were abuzz about how Colin and Christine Weir took just ten minutes to decide to buy a £3.5 million mansion set in 32 acres of grounds. If many of you thought “they must be so wealthy”, that would accurately describe a couple who jumped from regular people to the 22nd richest people in Scotland. 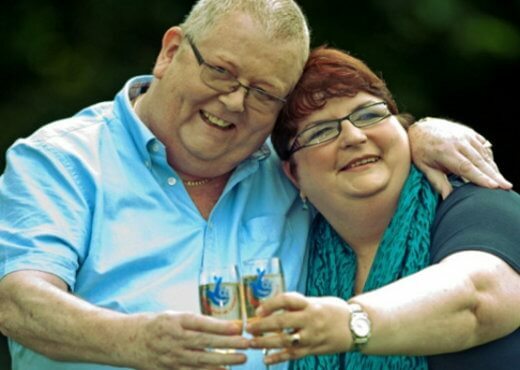 They are the couple who won a staggering £161 million in July of 2011. Such incredible wealth will prompt questions like: Have they moved to a new location? Are they trying to hide from people? Are they sharing their blessings? Are people trying to use them? And most importantly, how are they dealing with all that money and fame? Euromillions operator Camelot did not require the Weirs to reveal their identity. There were fears they would be swamped by solicitation letters from all kinds of people, the good as well as the bad. And indeed many such letters came. They had help from the local post office who did not deliver letters without the proper address. People from Camelot also helped filter the genuine letters. The Weirs never considered remaining anonymous because they wanted to continue enjoying life, and that would be quite logical. What is the use of all that wealth if you have to hide people all the time? Fortunately their friends at Largs, where they still reside, treat them no differently. Right after revealing they were big Euromillions winners, the couple had already stated their desire to give back to the community. Since then they have made good on their promise. First beneficiaries are family. Christine’s parents are ailing and their win allowed them the freedom to care for them. Then there are the charities. 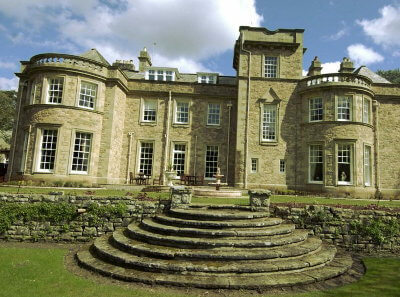 The couple set up the Weir Charitable Trust with an initial funding of £5 million. The trust aims to fund small Scottish charitable groups to fund ‘specific activities and services’ in a wide range of categories that aim to improve people’s lives. The trust has already awarded grants averaging £3,500 but say they will consider funding up to £25,000 under exceptional circumstances. Their wealth has allowed the couple to support nationalist initiatives. Colin once stood for MP under the SNP but lost. He has not lost his desire for an independent Scotland, though. In 2013 they donated £1 million to the SNP towards its campaign to garner a yes vote in a referendum that will seek Scottish independence. Very recently, they donated another £1 million to the Scottish independence campaign. Their sudden wealth has caused them a few controversies. The size of their win had some people commenting that it would have been better if more people had won small amounts. This has not bothered them as they know that the lottery’s structure is such that the huge jackpots are what attracts players like them. They also had a building contractor named Oak Leaf sue about a contract dispute. The contractors claim they suffered £290,000 in losses after the Weirs “unlawfully repudiated contracts” for the design, manufacture and installation of improvements to a home. The English contractors sued in England, but the Weirs had the suit thrown out by the court. The court ruled that it had no jurisdiction on the case which involves work in Scotland. The Weirs may not even be aware of it but a group of scammers even used their names and images to fool people. The scammers sent emails purportedly saying that the Weirs have selected the recipients to receive a share of their winnings in the amount of £1,500,000. If the recipients respond, they will be asked to send money to pay for attorney’s fees, processing, etc. Which is the last they see of any money of course. The Weirs don’t have to work for a living. They can afford almost anything they want. But in most respects they remain the same people they were before they became incredibly wealthy. They still take care of family, like Christine’s parents, first. They still live in the same Largs neighborhood. They have the same friends, although with their charity work their friends are sure to multiply. They are considering travel, which they can certainly afford. They can even pursue causes close to their hearts, like that of an independent Scotland. It must be true what they say that huge wealth does not really change people, it only magnifies their abilities. It has certainly magnified the good in the Weirs.